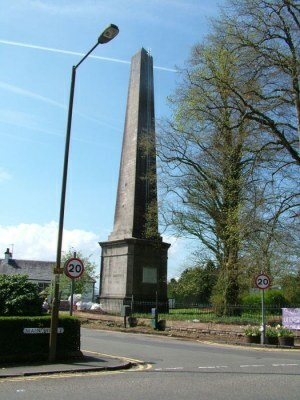 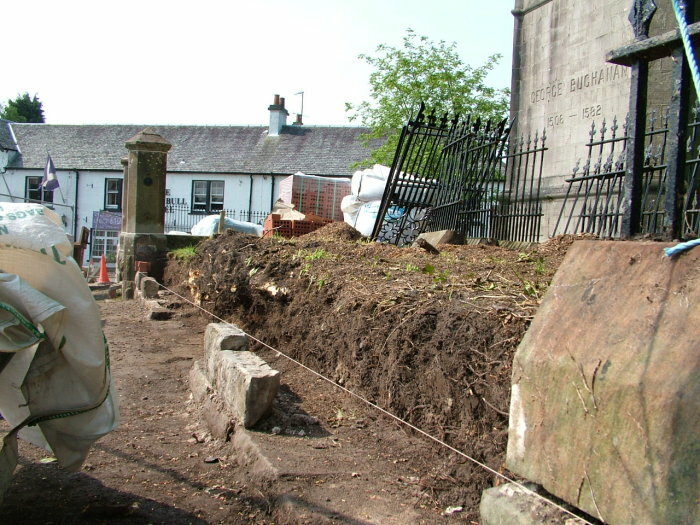 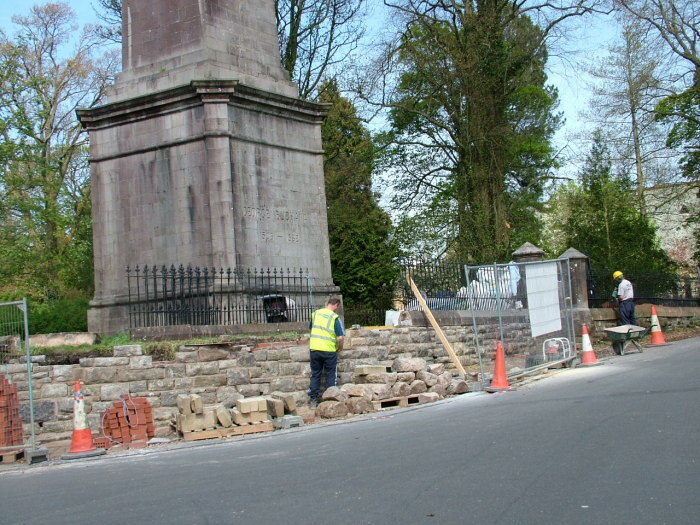 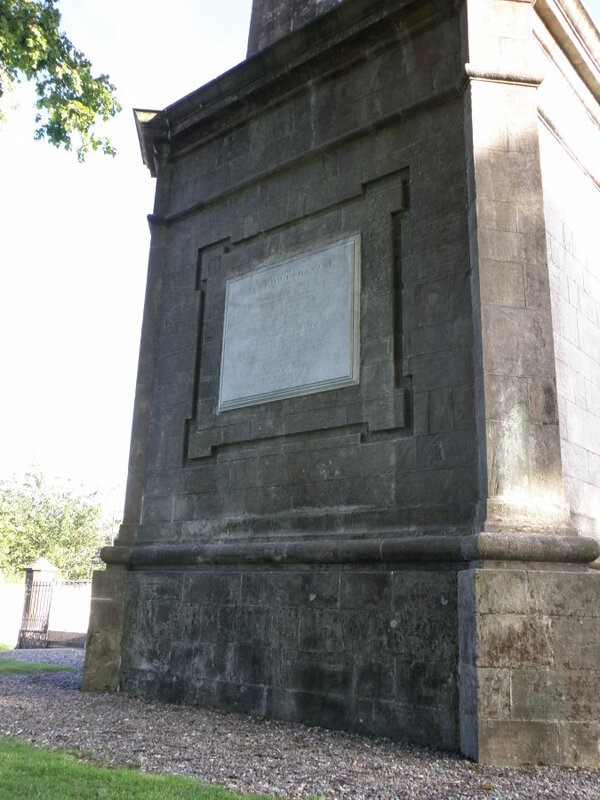 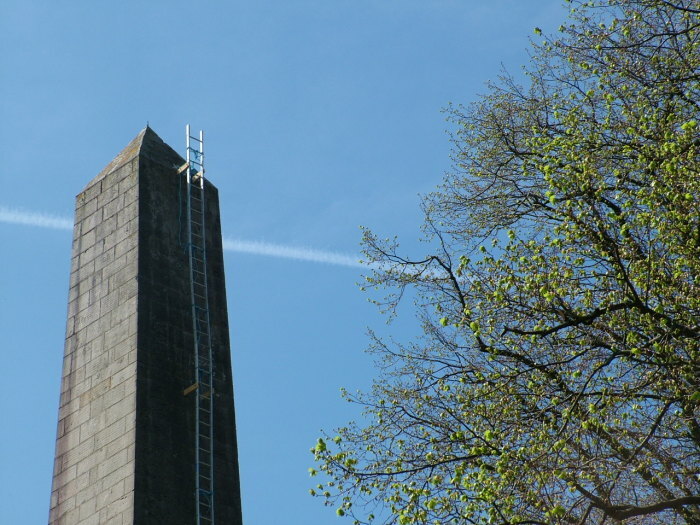 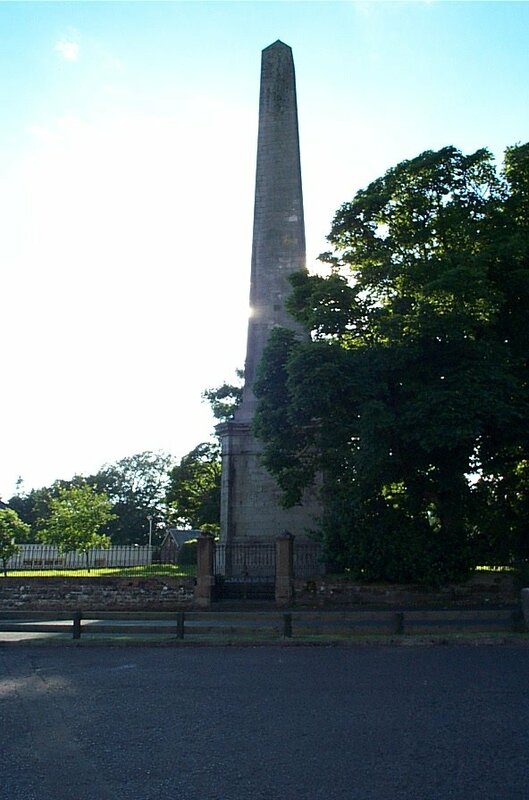 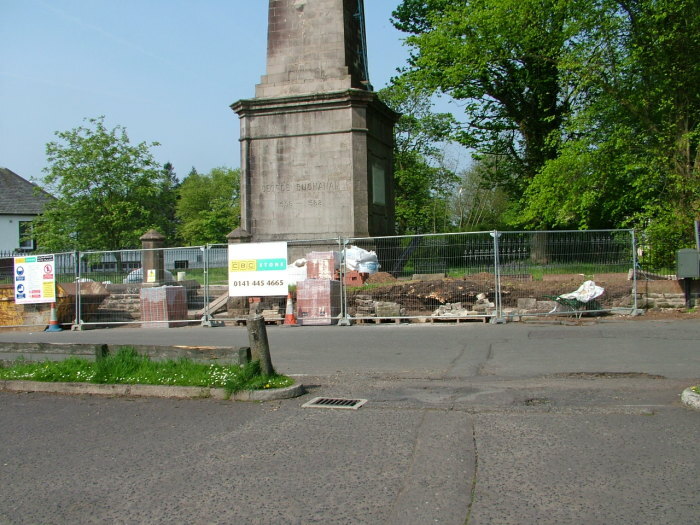 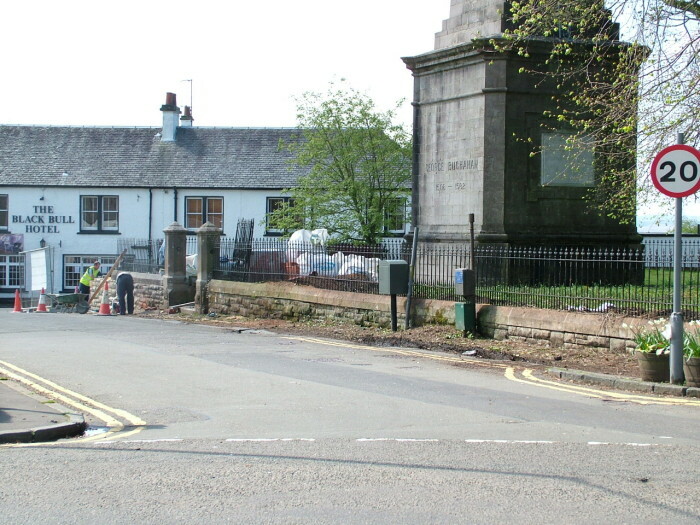 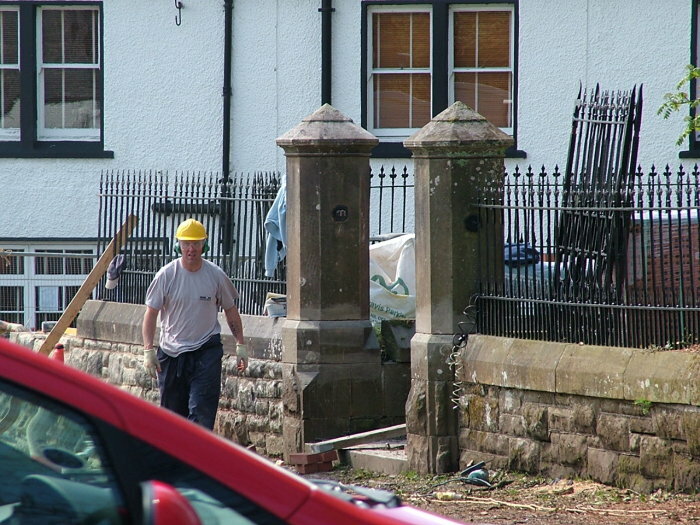 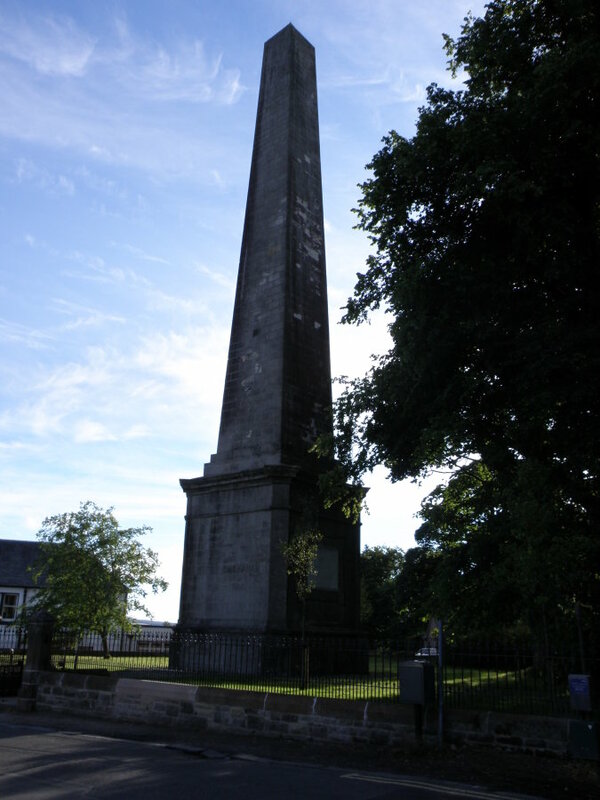 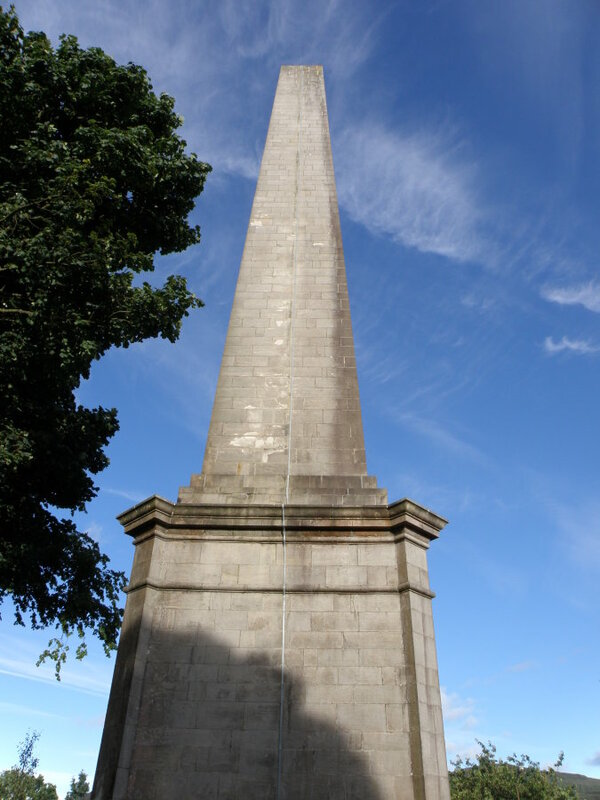 The Buchanan Monument, in memory of George Buchanan, was build in 1788. 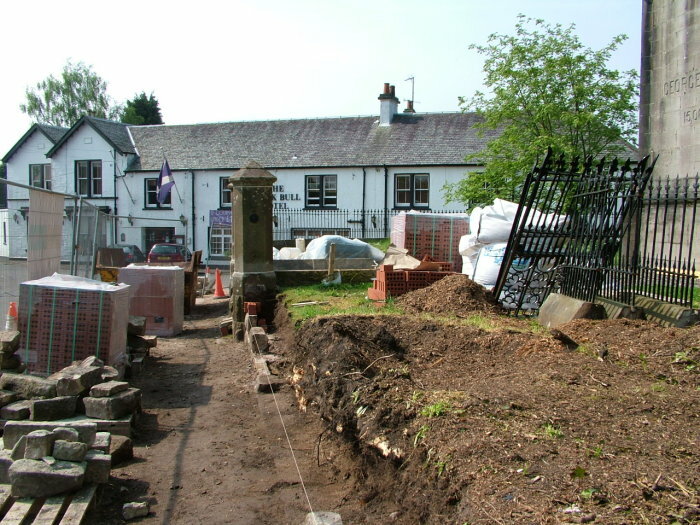 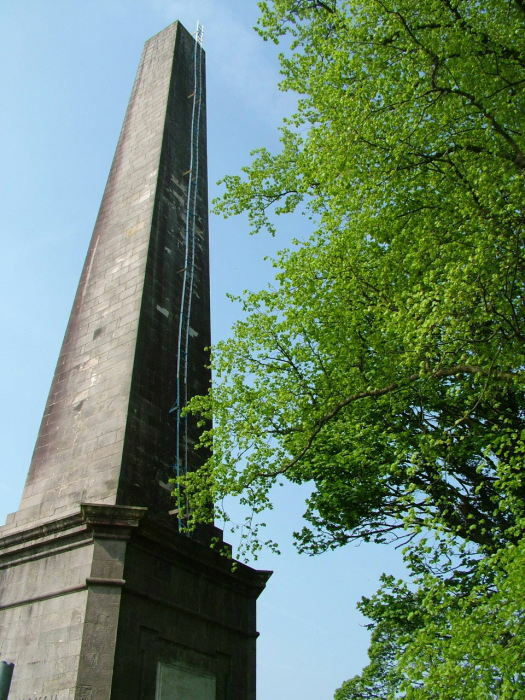 It was built of Killearn gritstone and stands 103 feet high. 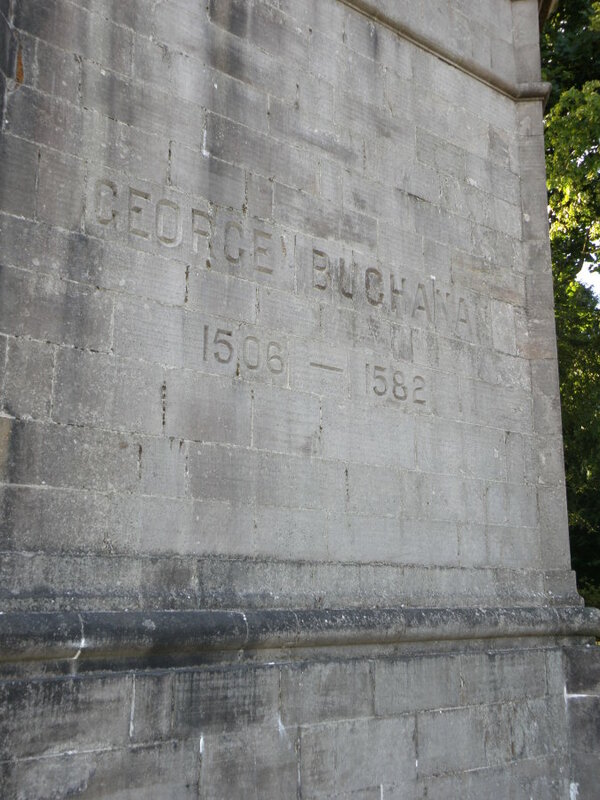 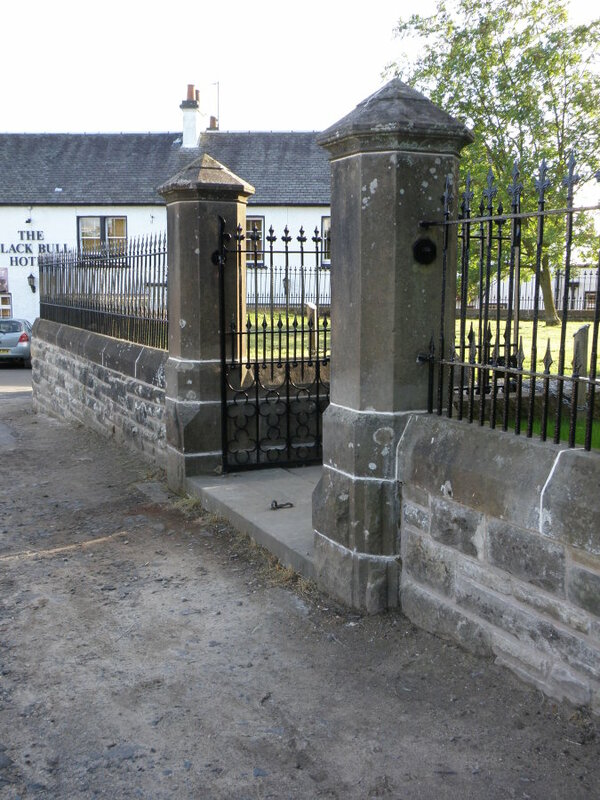 George Buchanan (1506-1582) was born at The Moss, Killearn. 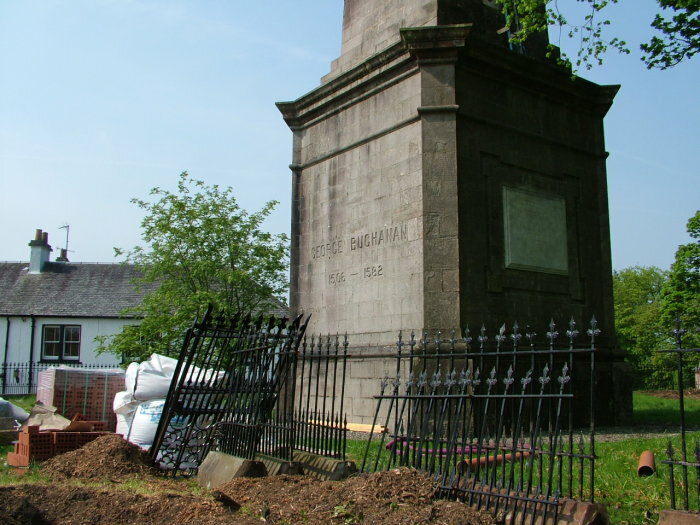 Educated at Killearn, St. Andrews and Paris, he became a fluent linguist speaking Latin and Greek, in addition to French and his native Scots and Gaelic. 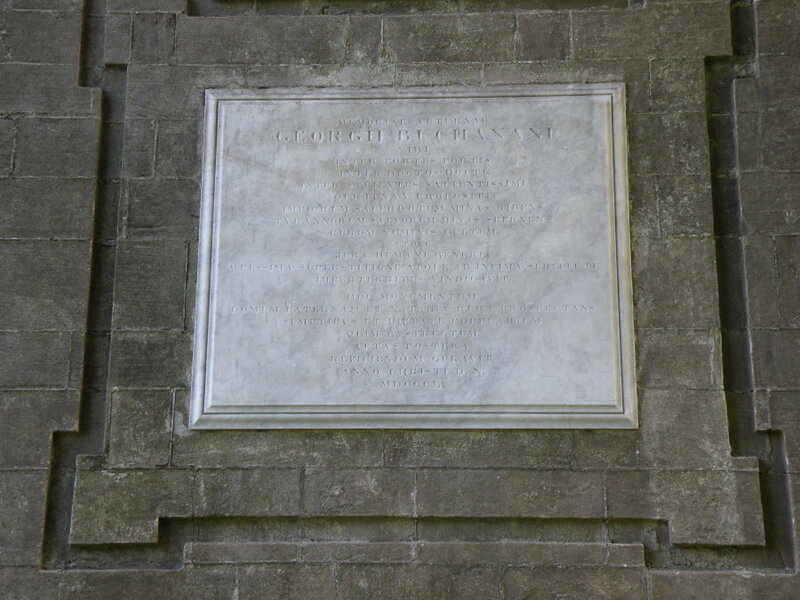 He was a fluent translator of Hebrew and Spanish. 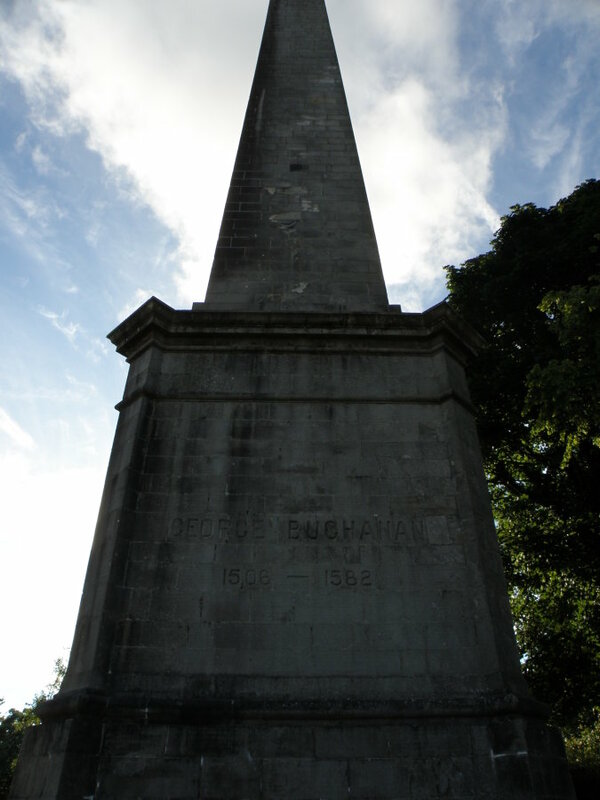 Who designed the Buchanan monument? 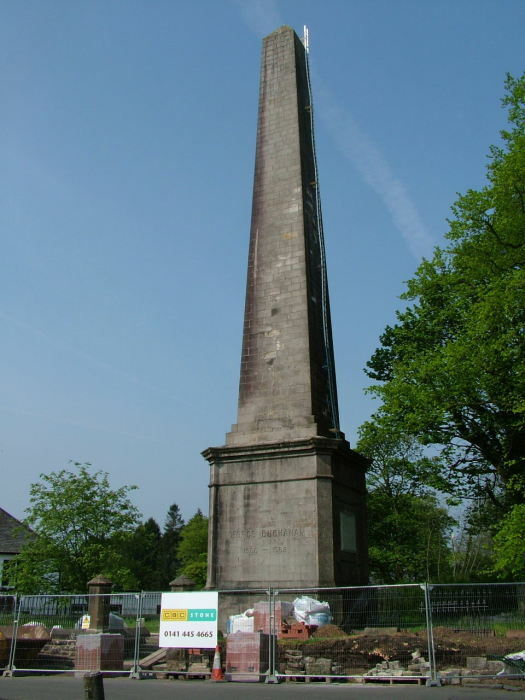 how was it financed? 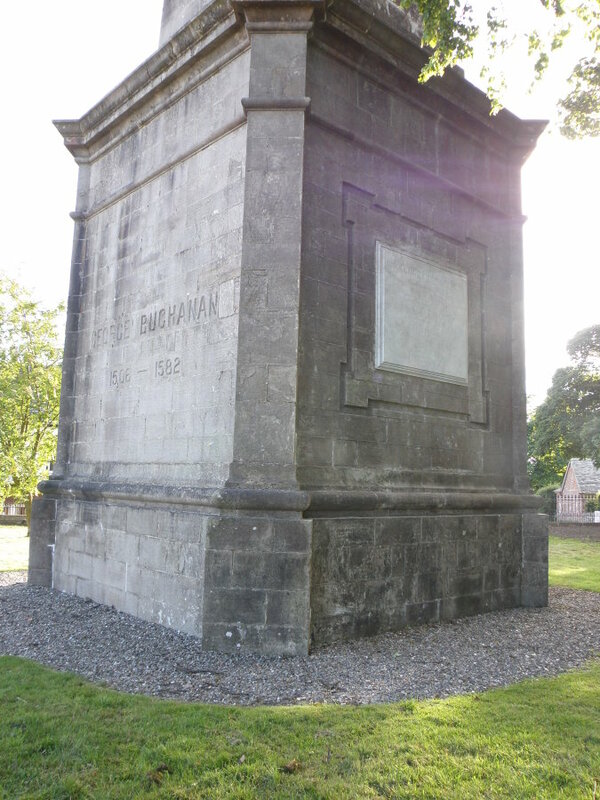 Is there a Buchanan society?